So sorry for the delay in posting – my studio has been taken over by Quilt Market prep! I leave in just 3 days and I have made so much but still feel totally unprepared. It’s the downfall of market….but that’s a different post for anther day. Today’s post is all about zippers! Raise your hand if zippers scare you? It’s ok, they used to scare me too. I once told a friend of mine that she didn’t need a zippered pocket in a bag I was making for her. Who uses a zippered pocket anyway?! I went to extreme lengths to avoid them. But now that I have realized that they aren’t so scary or hard I love them. Seriously, LOVE zippers! At this point you should have all your fabrics picked out, cut and fused. The finished wallet has 2 separate zip pockets but we will make just one unit. Grab your outside interfaced zippered pocket pieces, lining pieces and 2 zippers. First thing we’ll do is make a sandwich. The fabric is the bread and the zipper is the meat – really that simple! 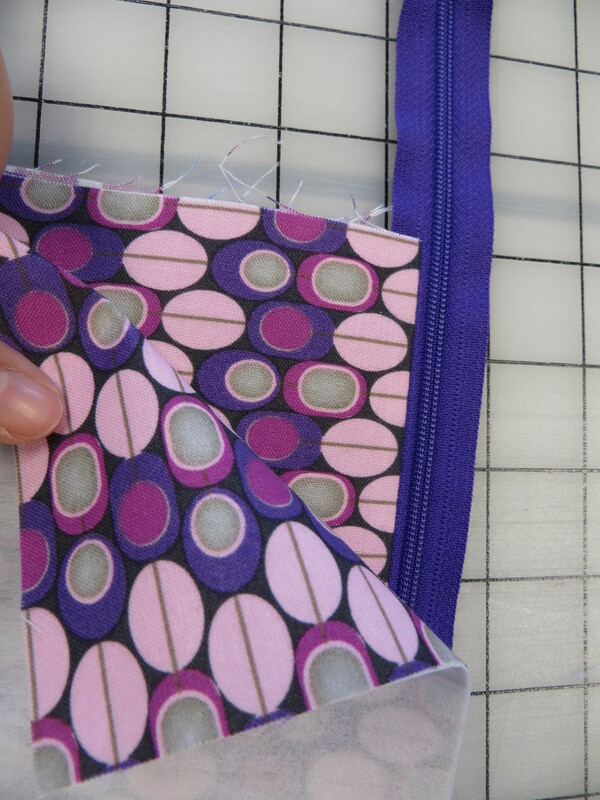 Place the zipper between one outside and one lining piece as described in Step 2 of your pattern. 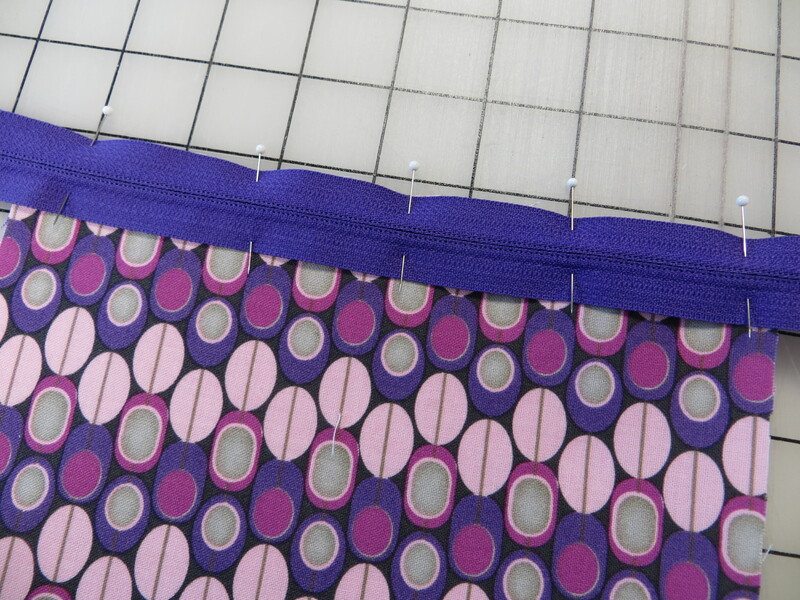 Sometimes trying to pin all 3 layers can be tricky – fabric shifts, zippers move. Here are a few pin tricks I use – see which one works for you. I usually pin one fabric layer to the zipper and then add the last piece. You can pin vertically or horizontally. 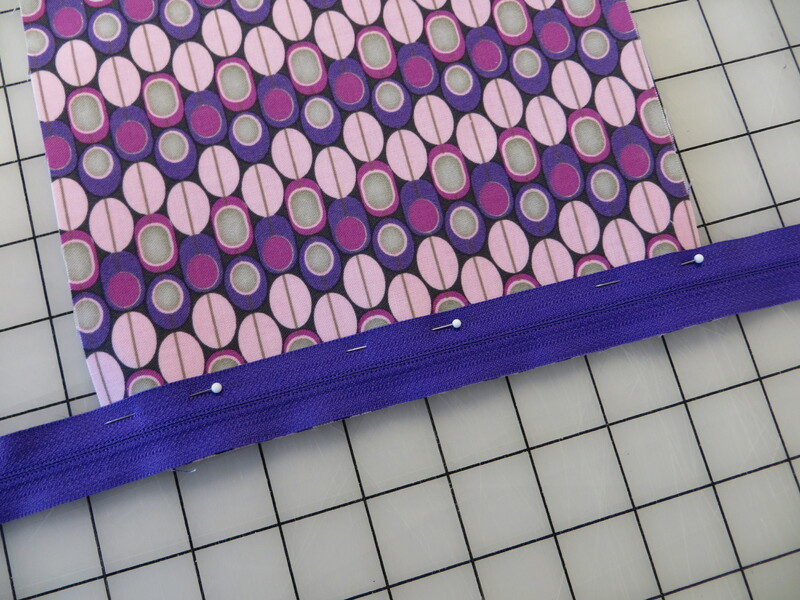 My favorite way to install a zipper though is using 1/4″ wide fusible tape. 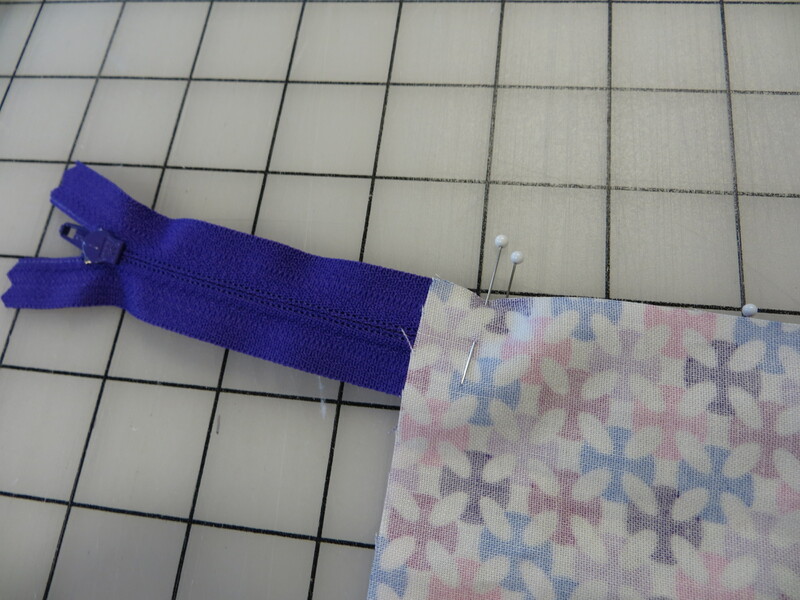 You can fuse the zipper in place rather than pinning and it will stay securely where you need it. One thing I will mention though – if you sew with a scant 1/4″ seam allowance you may have a little sticky tape showing. The tape is exactly 1/4″ wide. I make sure that I have a “fat” seam allowance for this technique. 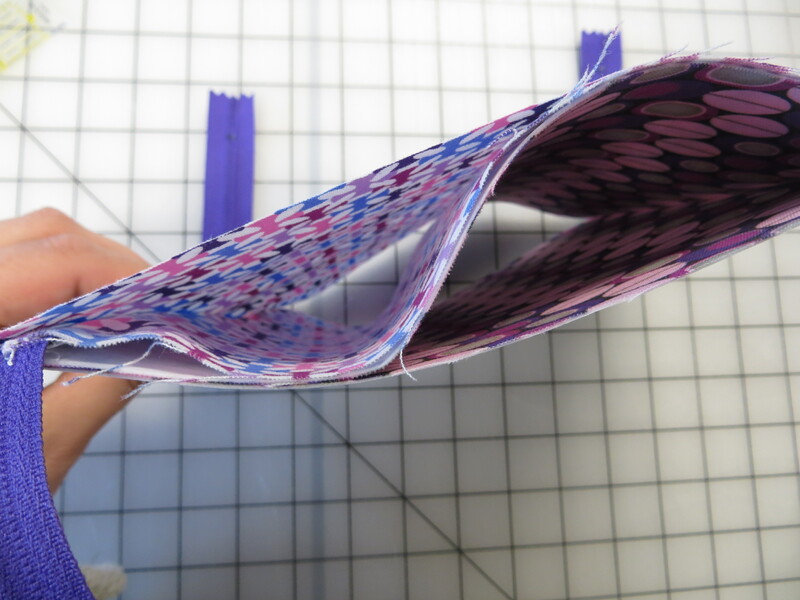 And remember, sew with interfaced piece on top to prevent stretching. Place the lining right sides together and some more pins. 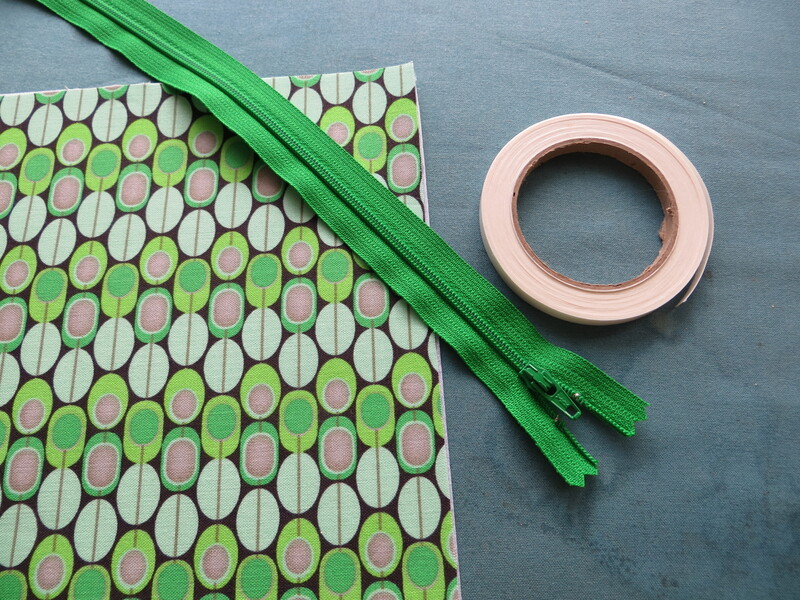 My favorite method – fusible tape! Fuse the tape to the right side of the outside, peel off paper and fuse zipper in place. 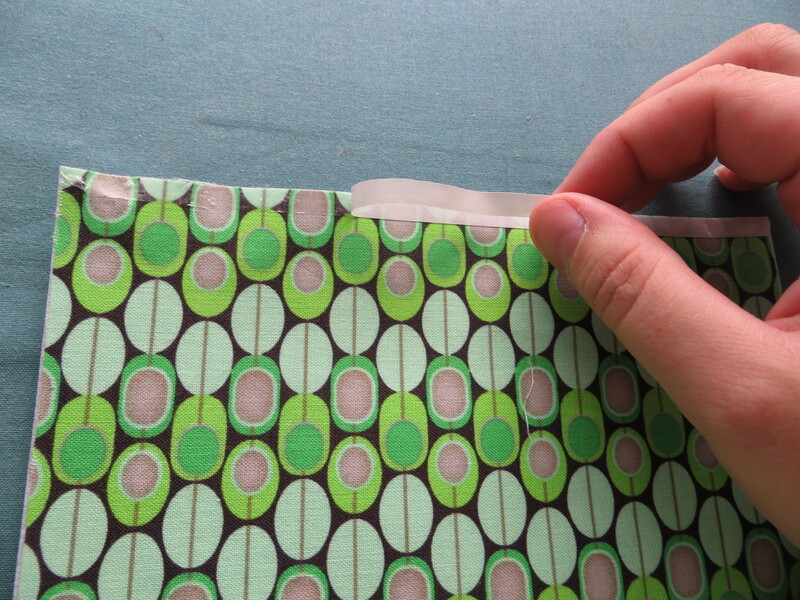 You can fuse or pin the lining in place. 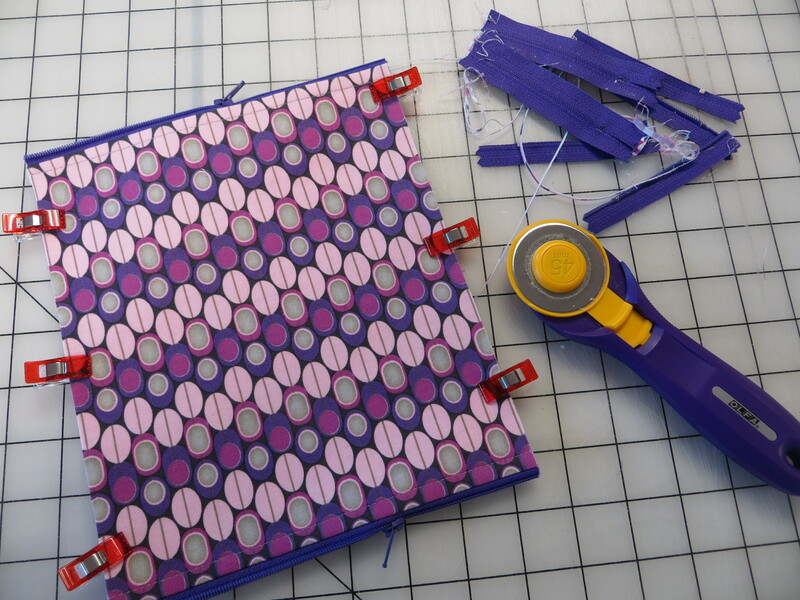 After you have sewn the zippers in place you can turn your piece and add the remaining outside & lining piece. Because you are sewing on opposite sides of the zipper, the piece itself will bow or bunch on you. Don’t worry -this is normal! It will flatten out once you finish the pocket. Don’t worry if it bunches. It will flatten out! Place the outsides right sides together and the linings right sides together. 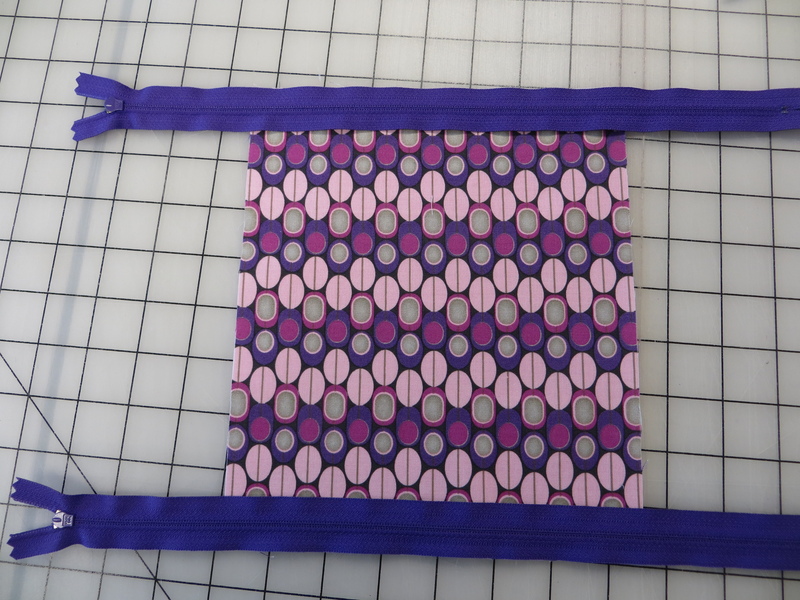 You may be wondering why I chose to use 14″ zippers for a 7 1/2″ wide pocket. I have a couple reasons actually. For starters, I’m lazy. I’m extremely lazy. I love to buy zippers in tons of colors and keep an inventory so I have lots of choices but I hate sorting them by size. It sounds stupid but I just don’t have the storage or time to be organizing zippers. 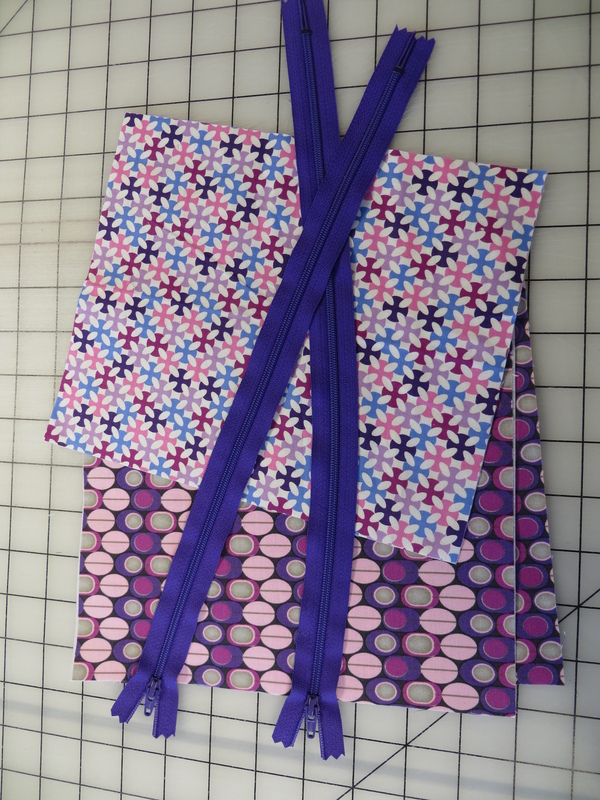 If I buy all 14″ long zippers then I can use them for all but 2 of my bag patterns. 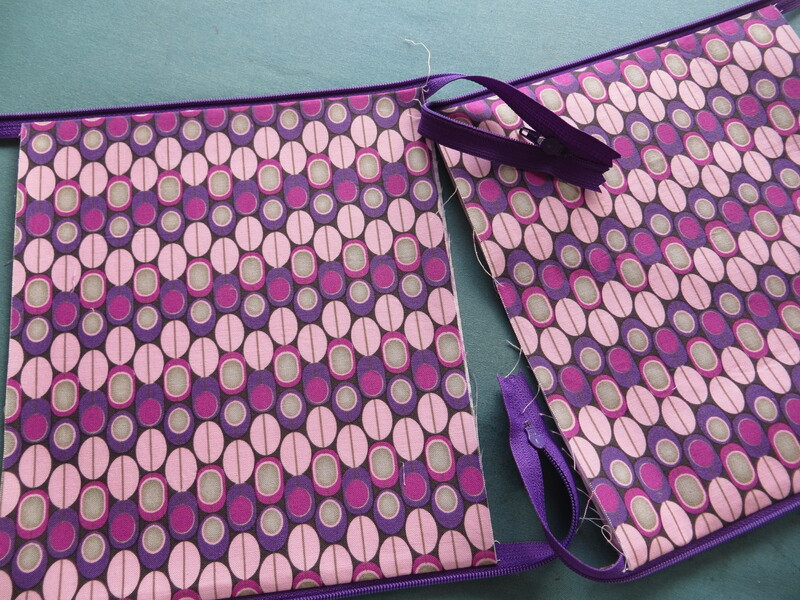 And for those patterns I use Annie’s double pull zippers which are the BEST for handbags. 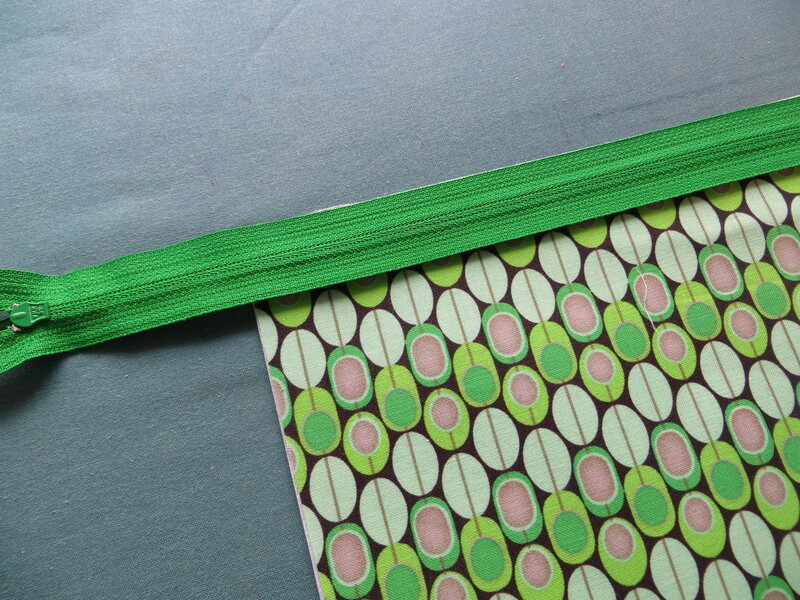 The other reason I use such a long zipper is to make the finishing and top stitching easier. Pressing this pocket nice and flat gives you a crisp, clean look which I can’t achieve with short zippers. 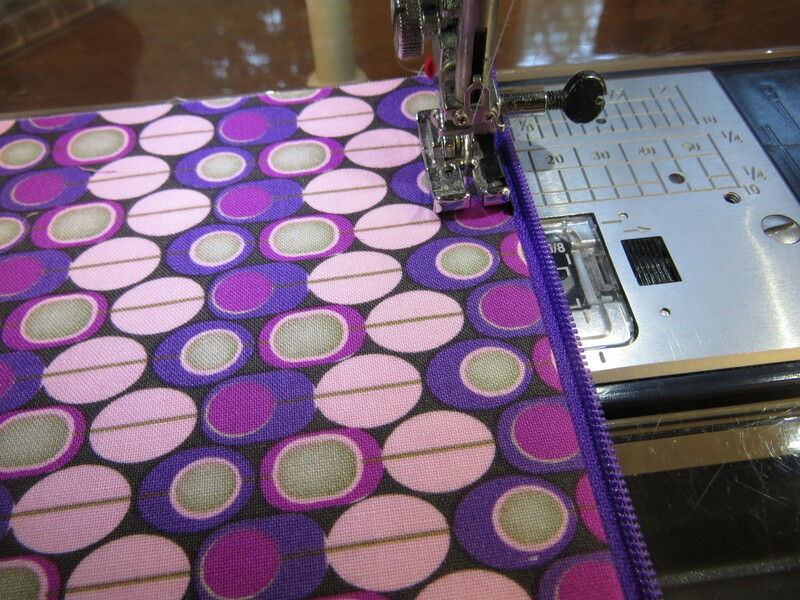 The long zippers allow me to open up the pocket flat, press and topstitch with no issues. Topstitch along each side of the zippers. Complete the pocket as per Step 2 by trimming the sides and stitching the edges. Set aside when done. Next up are the card pockets! Trim edges, clip or pin and stitch the side. Voila! A finished pocket! The next post for card pockets won’t be until November when I return from market / festival. In the meantime though if you choose to go ahead you can always email me or leave a comment here with any questions. I wish I had more time to participate. I have the pattern, I have the hardware, I just need the time! Think this may have to be a 2016 project! When closing the pocket, do you sew over the trimmed zippers? Or just on the material? You will sew over the ends of the zipper as well.